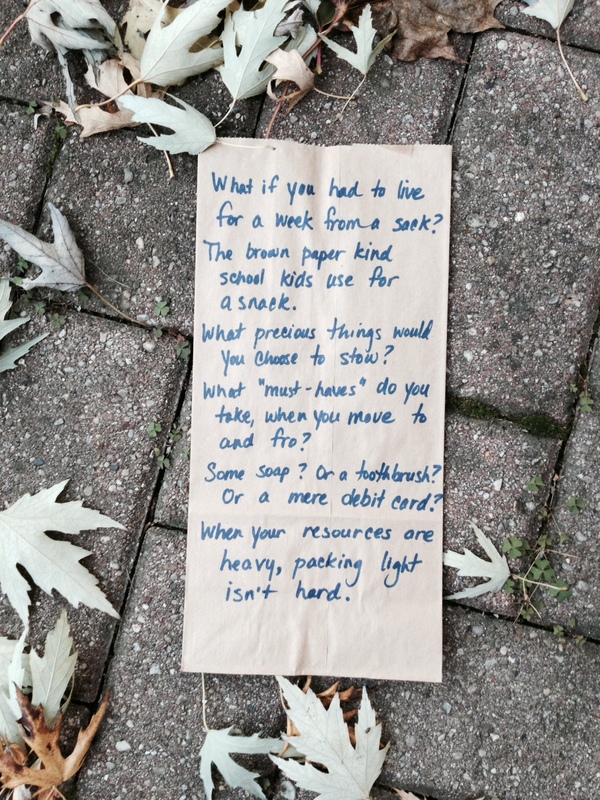 What if you had to live for a week from a sack? The brown paper kind school kids use for a snack? What precious things would you choose to stow? What “must-haves” do you take, when you move to and fro? Some soap? Or a toothbrush? Or a mere debit card? When your resources are heavy, packing light isn’t hard.